Strona główna » Blog » Program » Dollfie dolls and costumes of Queen Amidala! Dollfie dolls and costumes of Queen Amidala! Are you familiar with the Dollfie dolls, which adorn the shelf of quite a few collectors? They can be sweet or terrifying, but they definitely charm and captivate anyone who glances at them! At Pyrkon, for the first time you will be able to get known with them thanks to Aldona Talarczyk’s exhibit in Fantasium Creatium. She not only collects them, but also creates clothes for them! Her collection is worth a closer look, as the costumes are created with absolute precision and dedication. Aldona Talarczyk also recreates the costumes of Queen Amidala! The wardrobe created for Natalie Portman, who portrayed Queen Amidala in Star Wars, is incredibly impressive. Its creators used expensive fabrics, searched for inspiration in traditional outfits, and very often used typical elements of historical outfits from different eras. Altogether, around 40 different costumes were made, and so no one should be surprised that in every new scene with Natalie Portman we can see another unique outfit. You can view this richness of colors and forms with your own eyes at the exhibit prepared by Aldona Talarczyk. 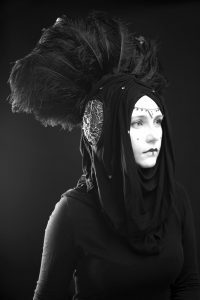 She’s an artist who for several years has been recreating Queen Amidala’s costumes, spending a lot of time on each one. Although so far she has only managed to recreate a small part of Her Majesties wardrobe, every model is guaranteed to hold your attention. 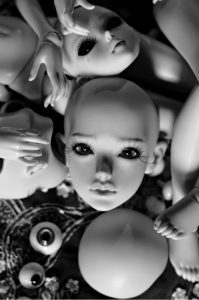 What’s more, this time you will also be able to view the BJD (Dollfie) collection, which Aldona has been collecting for almost 10 years, and dressing them in handmade and masterfully ornamented outfits. You are all invited! Take a look at Aldona’s Facebook and Instagram pages, where you can whet your appetite for the exhibit at Pyrkon!